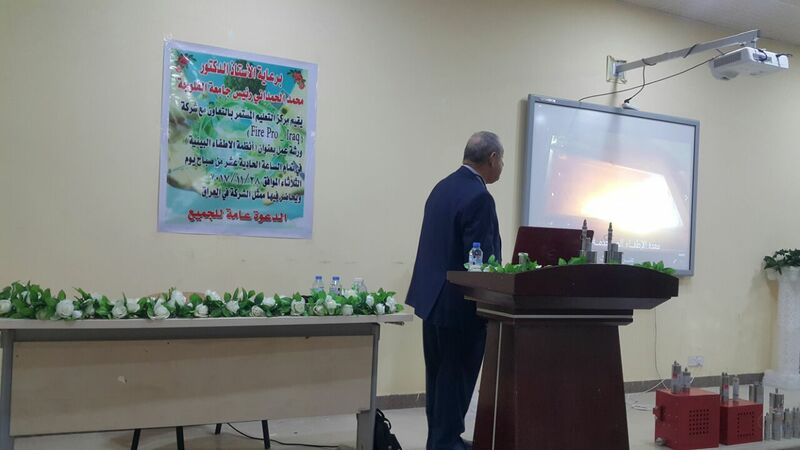 FirePro Iraq organized and successfully carried out a seminar at the University of Fallujah in Iraq, in the presence of its Chancellor Mohammad Al-Hamdany, and Assistant of Scientific Affairs, Professor Ebrahem Abdul-Kareem. 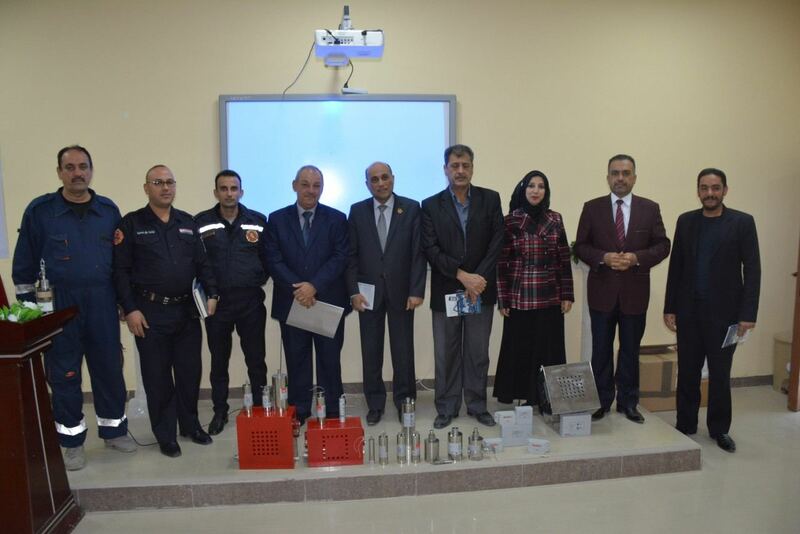 The event was coordinated by Dr. Alla’ Faeq Habeeb, and was attended by around 40 representatives from various departments including the Council Committee of the University, the Science and Technology College, Safety Department, Civil Defense, and Electricity Supply Office. Representatives from FirePro Iraq, including Managing Director Eng. Ayad Hameed, were on hand to present the FirePro technology, as well as the entire range of FirePro Products and Solutions. Attendees displayed a keen interest in the various applications of the FirePro fire suppression systems, and held discussions on various subjects with the FirePro representatives. Particular importance was given by the audience to the efficiency as well as the versatility of the FirePro products to ascertain their applicability in their own field of interest. The unanimous verdict reached by the interested parties was that the FirePro products, backed by the internationally UL and other certifications offer the best-fit-for-purpose solutions for many of the challenges they face in their departments. Appreciation letters were delivered to the FirePro Iraq representatives at the end of the event, as a mark of gratitude for their informative presentations. FirePro wishes to thank Eng. Ayad Hameed for his efforts in coordinating this event, and for his unwavering dedication to promoting the FirePro brand throughout the Iraq region.